The Central Florida Zoo & Botanical Gardens earlier this year announced the addition of two donkeys to the Barnyard Buddies Children’s Zoo! These donkeys come from the Central Florida Satellite Adoption Center of Peaceful Valley Donkey Rescue. The two donkeys are about two years old and both males. 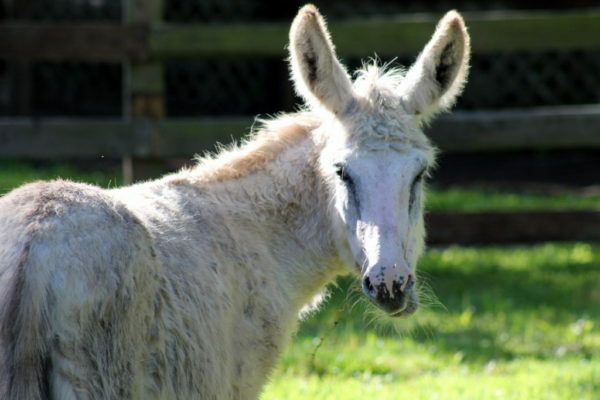 The two new donkeys are now living in the Barnyard Buddies Children’s Zoo, which features the Zoo’s goats, llama, and other domesticated animals. Donkeys have sensitive stomachs, and therefore will not be a part of Barnyard Buddies feedings. Domesticated donkeys, Equus asinus, were bred from wild donkeys around 5,000 years ago in northern African. Adapted to harsh desert climate, donkeys became a vital beast of burden in early cultures and are still utilized in remote areas to this day. Donkeys differ from horses in a variety of ways, most noticeably by having ears much longer in proportion to their size. 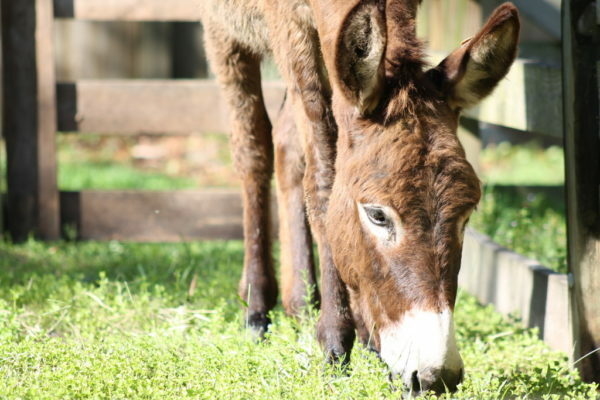 Donkeys are perhaps most well-known for their vocalizations; the “hee-haw” sound is called a bray. The Central Florida Zoo & Botanical Gardens would like to thank Peaceful Valley Donkey Rescue for providing our new residents. 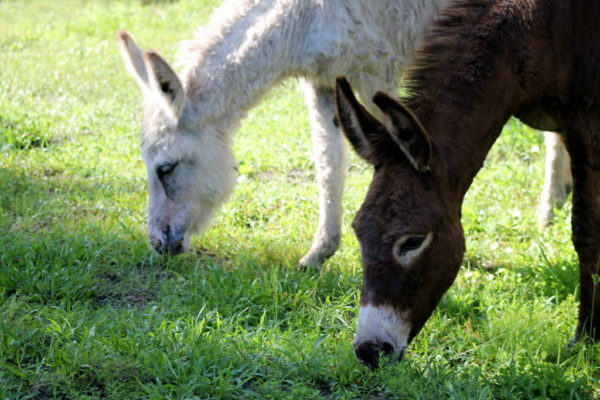 These donkeys came from a satellite adoption center, located in Clermont, Florida. Peaceful Valley Donkey Rescue is certified by the Global Federation of Animal Sanctuaries and provides a home for abused, neglected, or abandoned donkeys as well as wild burros. Wild burros are feral descendants of the domesticated donkey that were introduced by European explorers in the American west. The Zoo’s two new donkeys are descendants of wild burros that were rescued by Peaceful Valley.